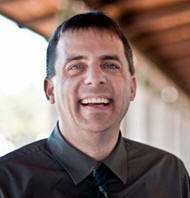 James Freeman, MA, CYC-P lives in Southern California with his wife and three children. He has over 25 years of experience in relational child and youth care across various settings, including out-of-school programs, family camping, sports, and child welfare. He holds a masters degree in organizational leadership and is the training director for Casa Pacifica Centers for Children and Families. In addition to serving on the board of CYC-Net, James serves on the boards of the Association of Children's Residential Centers and the Child and Youth Care Certification Board. James writes a monthly column for CYC-Online and regularly facilitates training on child and youth care topics. 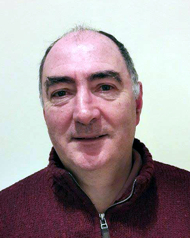 Dr Mark Smith has worked in child and youth care since 1981 when he began as a residential social worker at what was then called a List D (approved) school outside Edinburgh, Scotland. He spent the next 19 years in practice and management positions in different residential settings finishing his practice career as Principal for secure accommodation services in Edinburgh, in charge of two secure and three attached open units. In 2000 he was appointed to a position at the University of Strathclyde in Glasgow to develop and teach a new Masters programme in residential child care. He did this successfully for five years before moving to the University of Edinburgh as a lecturer and then senior lecturer in social work. Mark has written extensively on residential child care, including two books, Rethinking Residential Child Care (2009) and Residential Child Care in Practice (with Fulcher and Doran) (2013), both books published by Policy Press. His Doctorate addresses concepts of care and upbringing. Mark and his family maintain a connection with child care practice as registered foster carers. 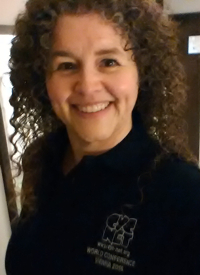 Janice Daley has worked in Child and Youth Care with Waypoints in St. John’s Canada since 2000. She held a variety of positions in residential programs before joining the Waypoints Family Support Program where she has been Senior Counsellor for the past eight years. She is also involved on a volunteer basis in various community initiatives, including sitting on the Boards of ASISTNL (suicide intervention) and a newly opened non-profit childcare centre that has an emphasis on the Arts in Early Childhood Education. In her youth, Janice pursued Journalism as a career, and although she settled in Education and Child and Youth Care, has maintained an obsession with grammar, punctuation and spelling that haunts her (and her colleagues) to this day. Thom has been involved in working with troubled children and their families, and the staff who work with them for 25 years as a practitioner, supervisor, director, teacher, trainer, consultant and writer. His involvement in the development of care-giving philosophies and youth care approaches has taken him to every province and territory, many of the states and a number of different countries. Since beginning as a child and youth care worker in a transition, assessment and emergency placement program for adolescents, he has been the director of a community based family counselling & intervention program, taught child care and family work for child care workers, social workers and other professionals at the University of Victoria, supervised group living and alternative programs, and was the director of treatment for one of Canada's largest child and youth care agencies. He has developed residential and non-residential programs; created training programs for professionals working with children and families; helped organizations to conceptualize, develop and implement programs and services; delivered numerous keynote addresses for professional organizations; provided training and consultation in direct child and family work and is the author of numerous professional articles about working with troubled children and their families. Thom is also the co-editor of the Journal of Child and Youth Care. Throughout the years he has provided consultation and training for organizations and staff provincially, nationally and internationally. He brings to consultation and training an expertise developed through involvement in all areas of the field. His doctorate is in Child and Youth Care from the University of Victoria. Brian worked in CYC from 1959 as a child care worker, principal, trainer, supervisor, lecturer and writer. He started his career in child care while in his final undergraduate year. Four years later he and a colleague started a new program (St Nicolas Home) in Johannesburg for a sector of the South African population not previously provided for. In 1967 he was invited to become principal of St Johns, a 64-bed program in Cape Town where he remained for fifteen years. In the late 1960s, in the Western Cape, he founded South Africa's first child care workers' association, and was instrumental in the establishment of similar associations in Natal, the Transvaal and the Eastern Cape. In 1975 these provincial associations amalgamated into the National Association of Child Care Workers. In 1982 Brian became the NACCW's first National Director. The NACCW has become the major training, literature and advocacy organisation in the field in South Africa. Brian produced the NACCW's monthly journal Child & Youth Care from 1983 until 1999, we he founded CYC-Net with Thom Garfat. Brian passed away on 28 September 2017. His legacy will remain forever.